Our experienced consultants can run a bespoke school governor inset day in your school. Below you will find a list of our most enquired and booked inset days based around governors in primary schools. To view other areas which our consultants have run inset days around or to find out more on our general inset/consultancy options click here. This half-day session is designed for school leaders and governors who wish to gain a fuller understanding of the inspection process and the emphasis that inspection teams and HMI place on the role of the governing body during both Section 5 and Section 8 inspections. What evidence will inspectors look for? What questions could inspectors ask governors? 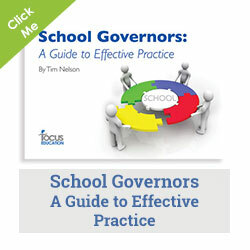 How can the inspection of governance be best managed by the school? What are the latest messages from Ofsted in this area? Have the opportunity to reflect on how the leadership team can be ready for inspection. This two-hour session is designed to ensure that governors understand the main issues connected with inspection under the revised framework. Clarity about their role in leadership and self-evaluation. By the end of the session delegates will be able to disseminate key messages back to their colleague governors. This training will be based on the most recent materials published by Ofsted at the time of delivery. 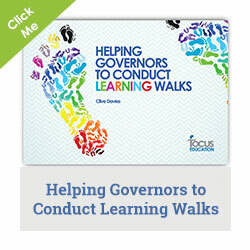 Take a look at our governor books by clicking here.